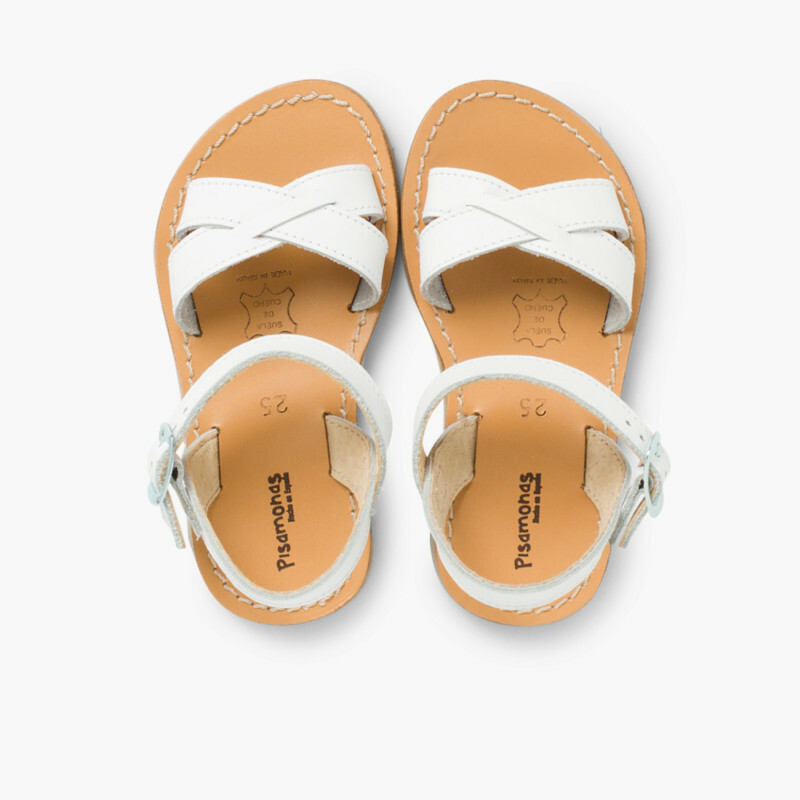 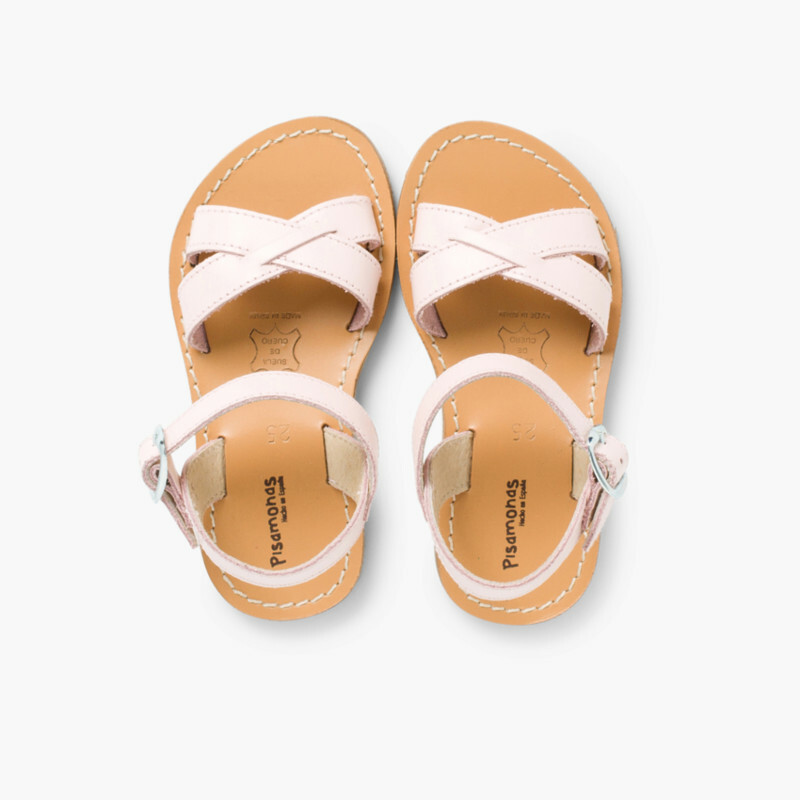 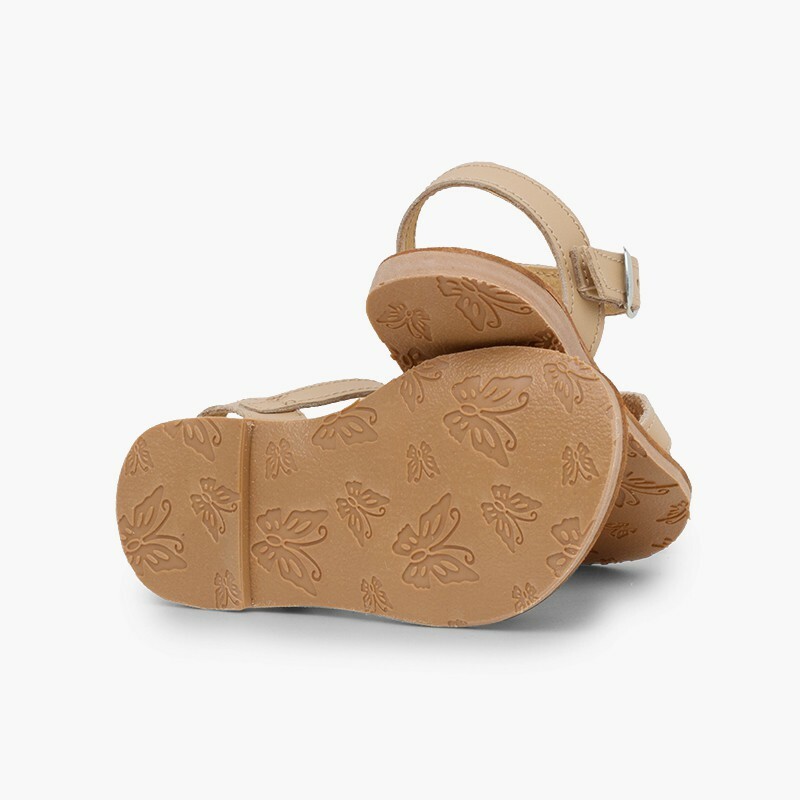 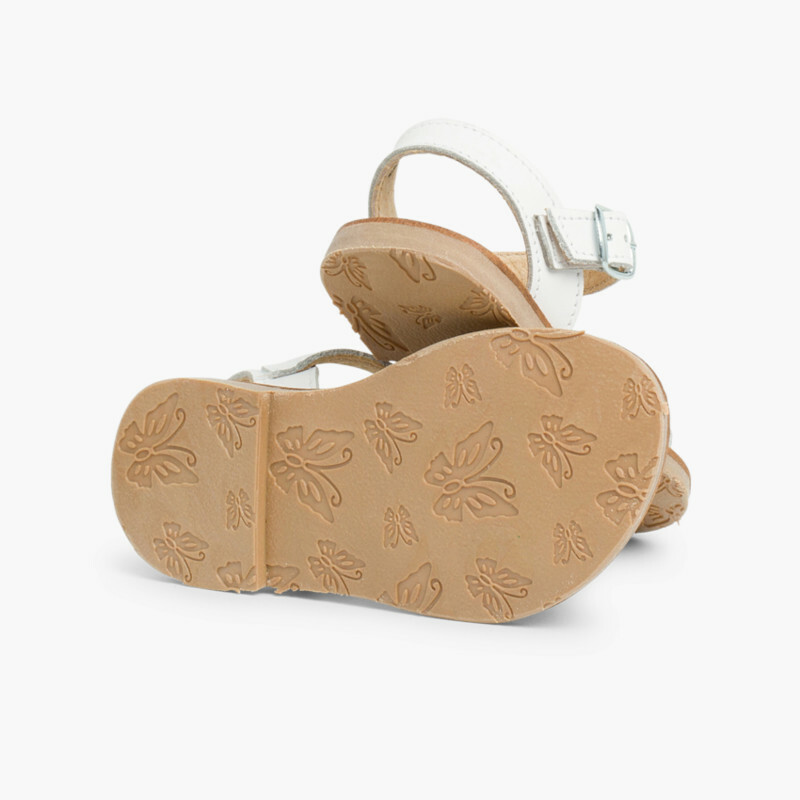 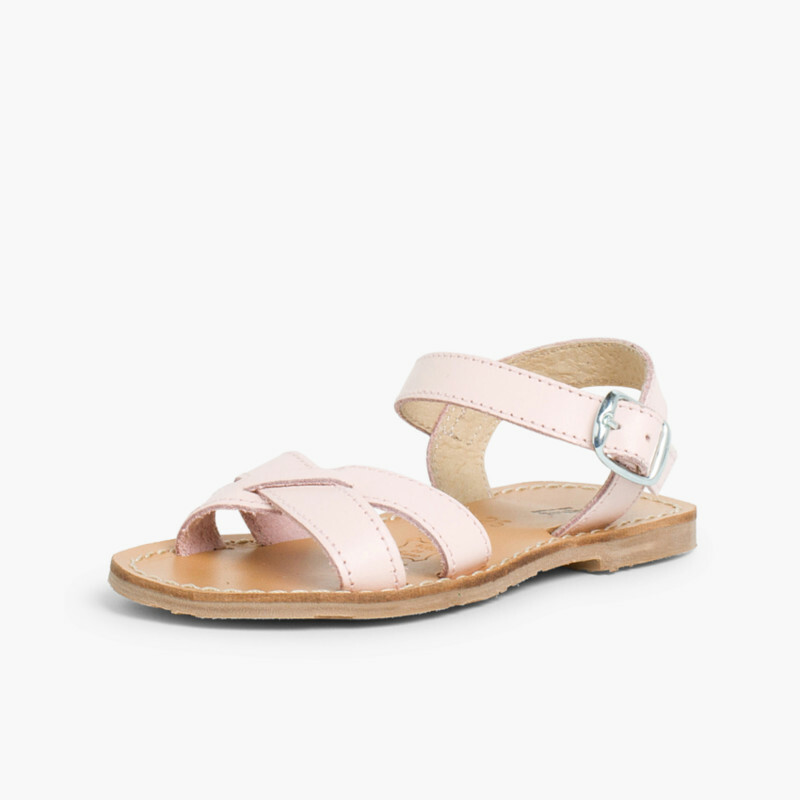 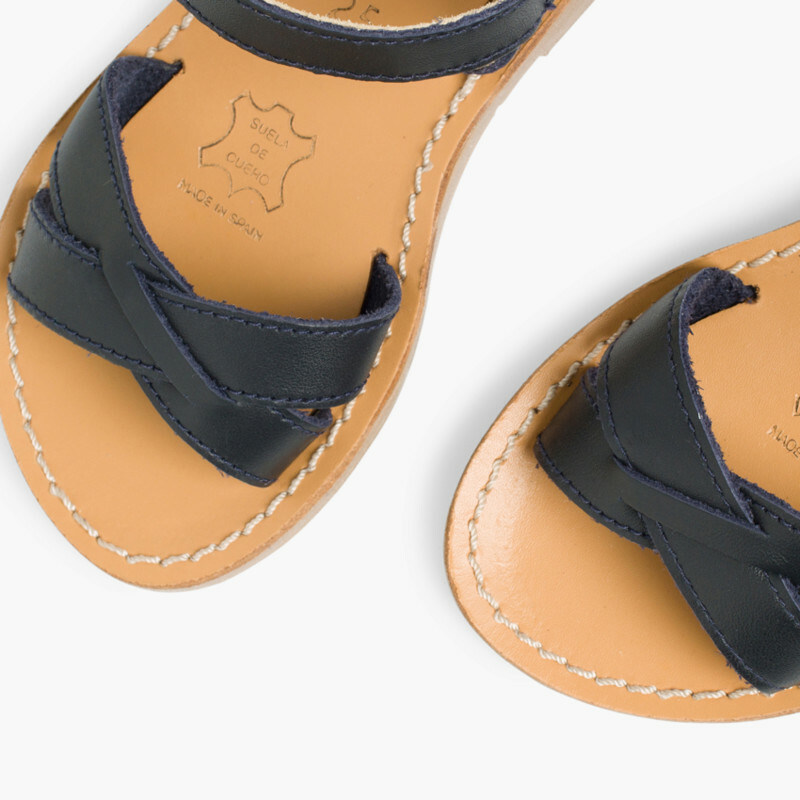 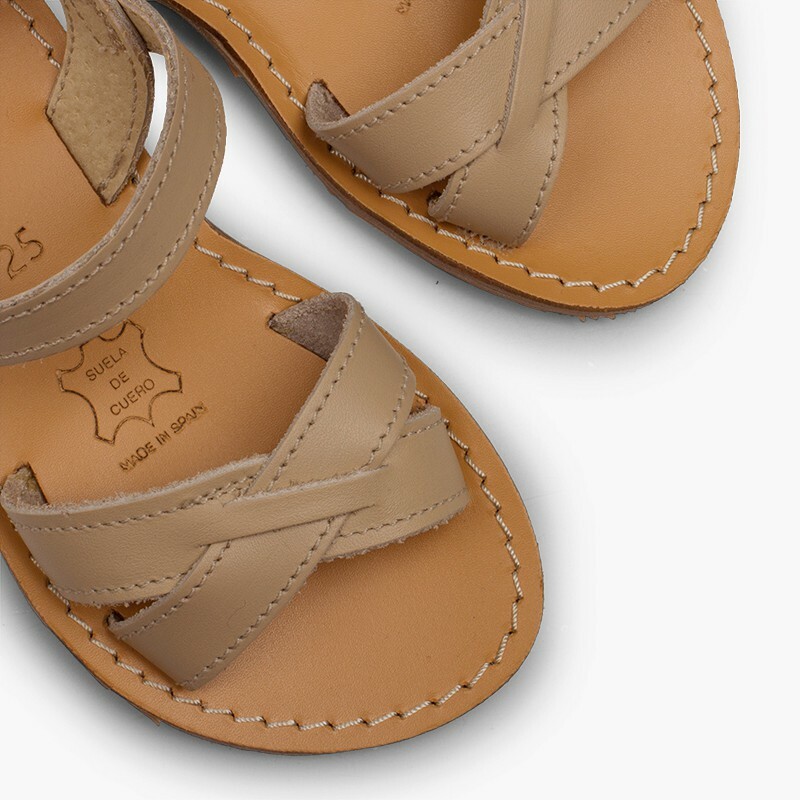 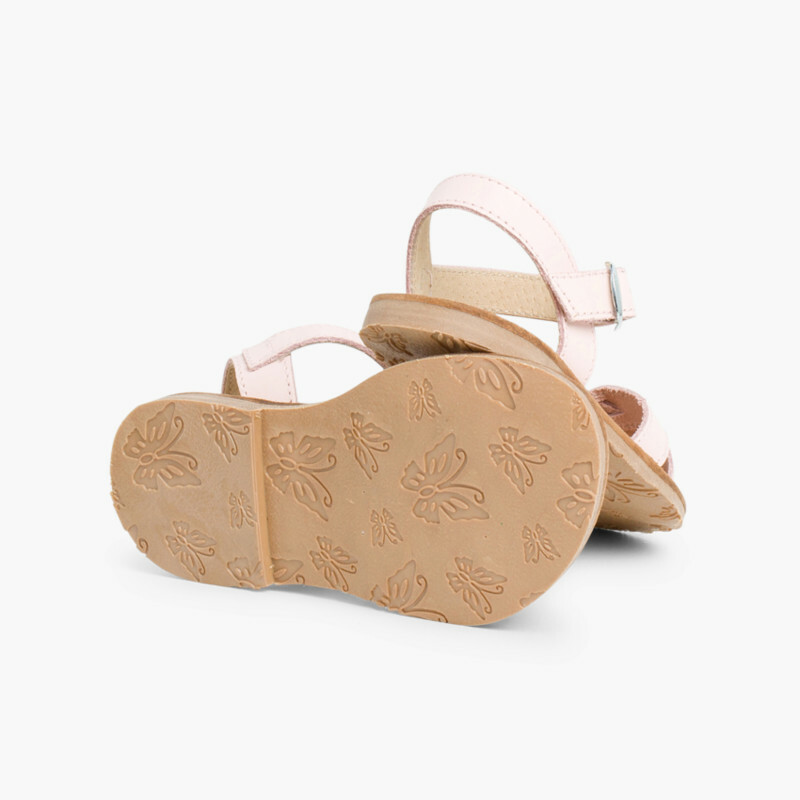 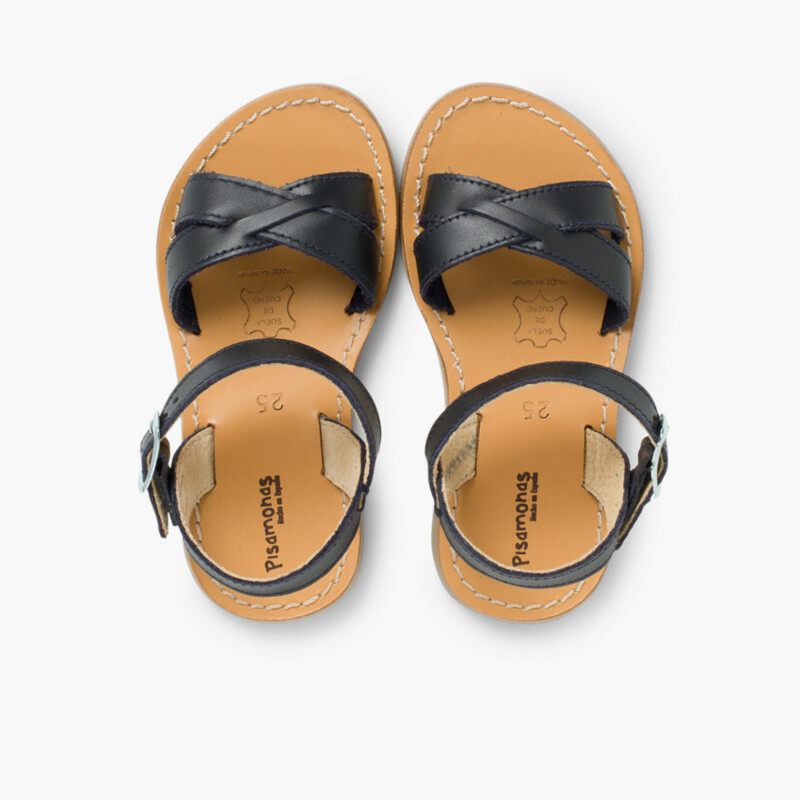 Stunning flat sandals for girls made of plain leather. 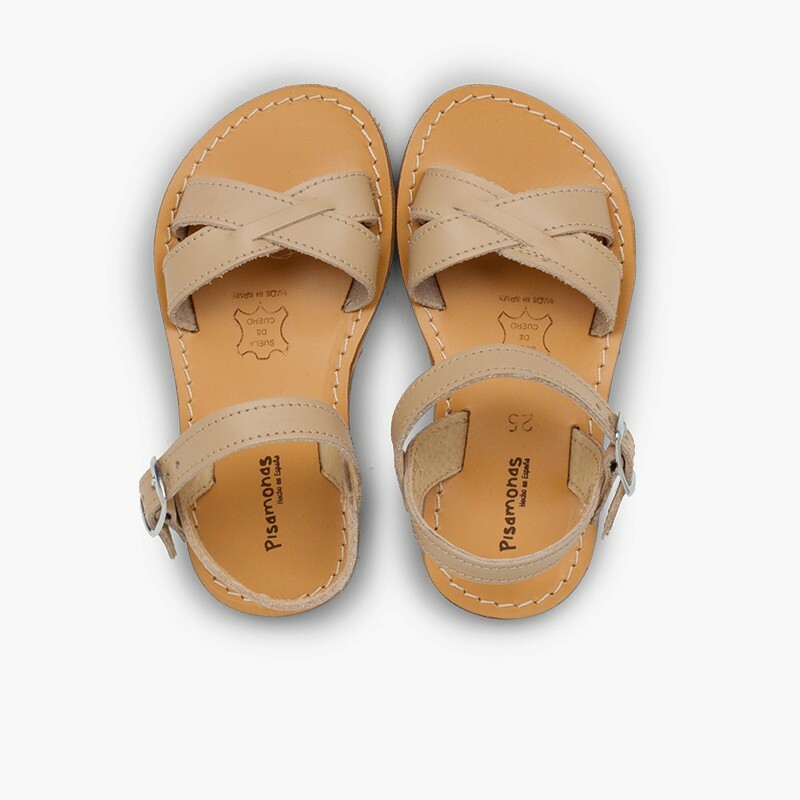 Elegant and simple crossed strap design to show off this summer. 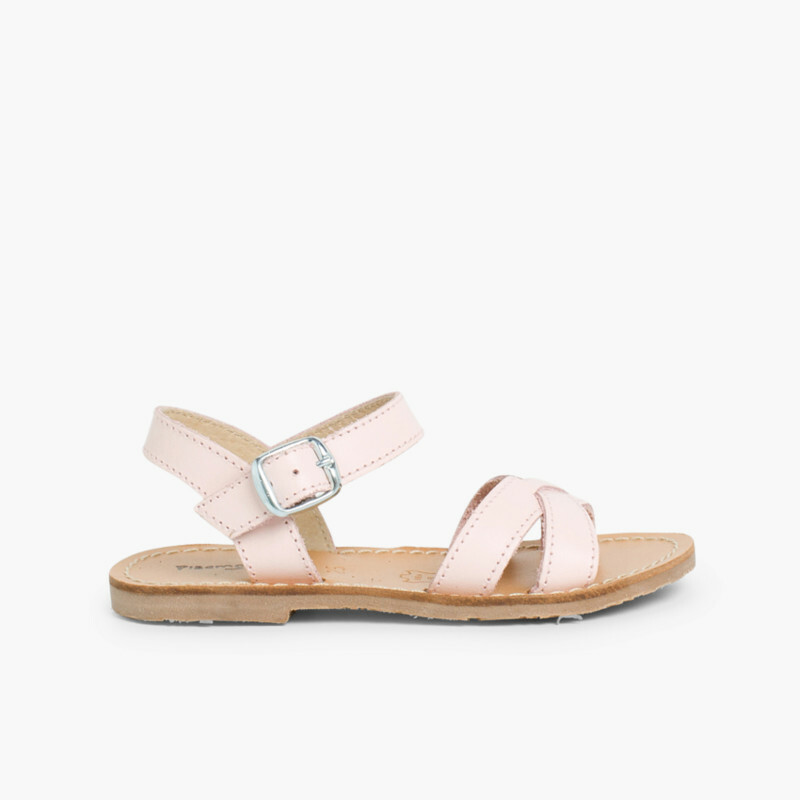 Available in white, pink, sand and navy blue, to match all your girls styles. 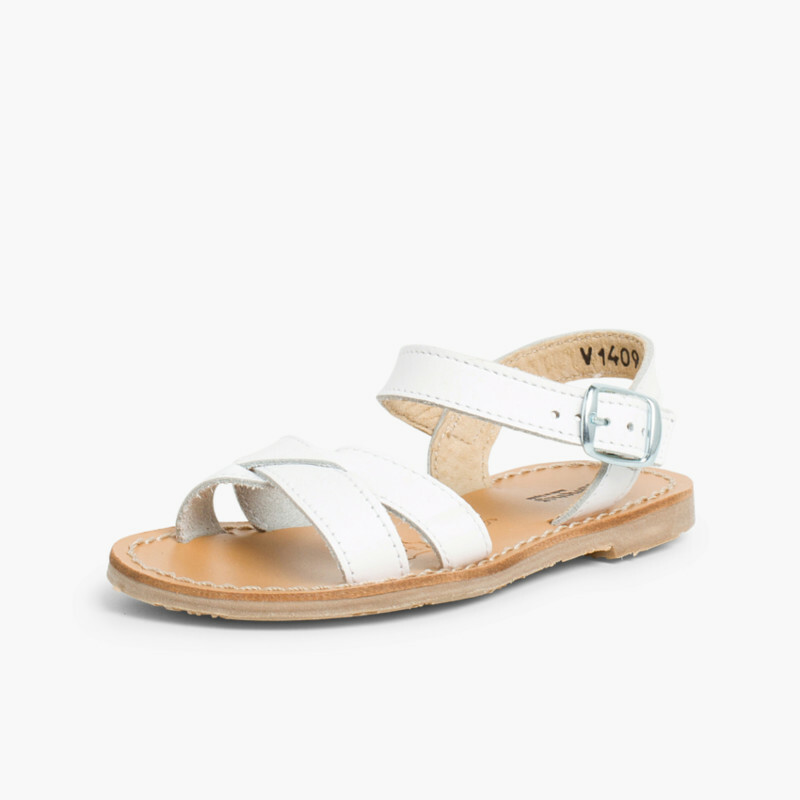 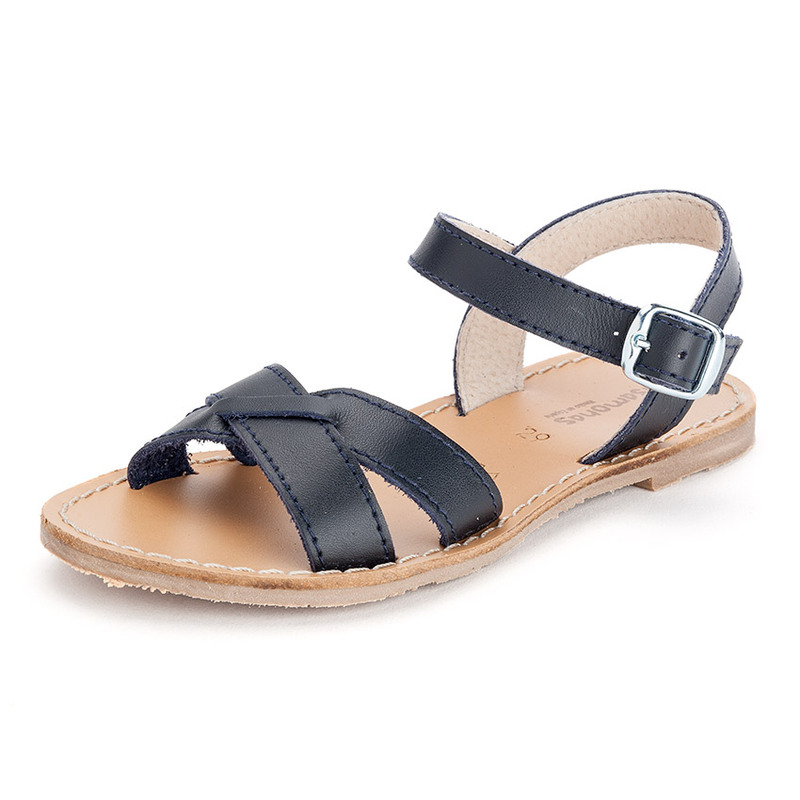 Made in Spain with natural materials (leather straps and soles) these shoes are also anti-slip. 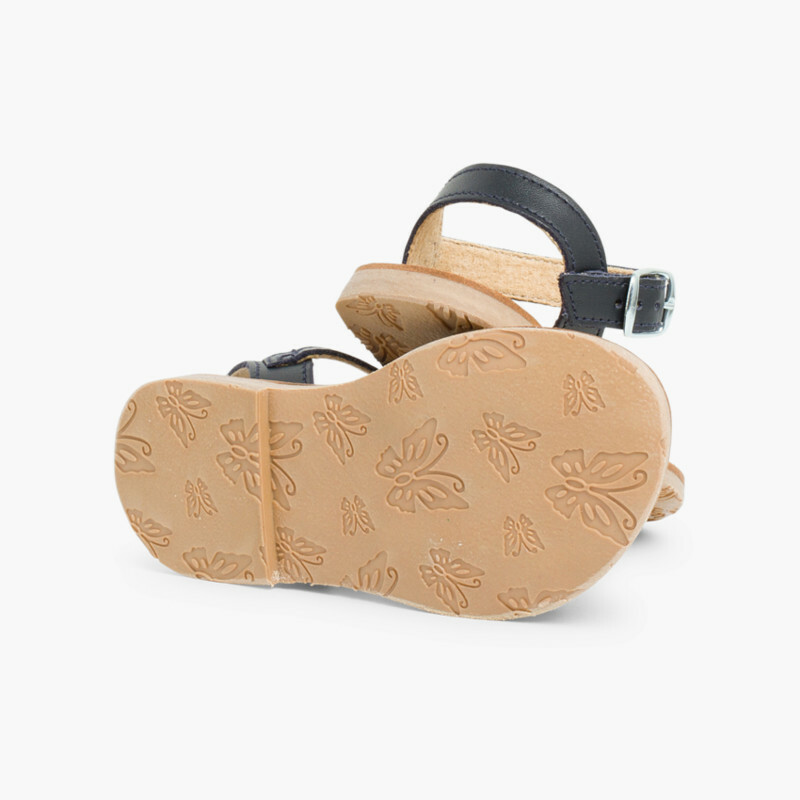 Buckle strap fastening for better feet support. 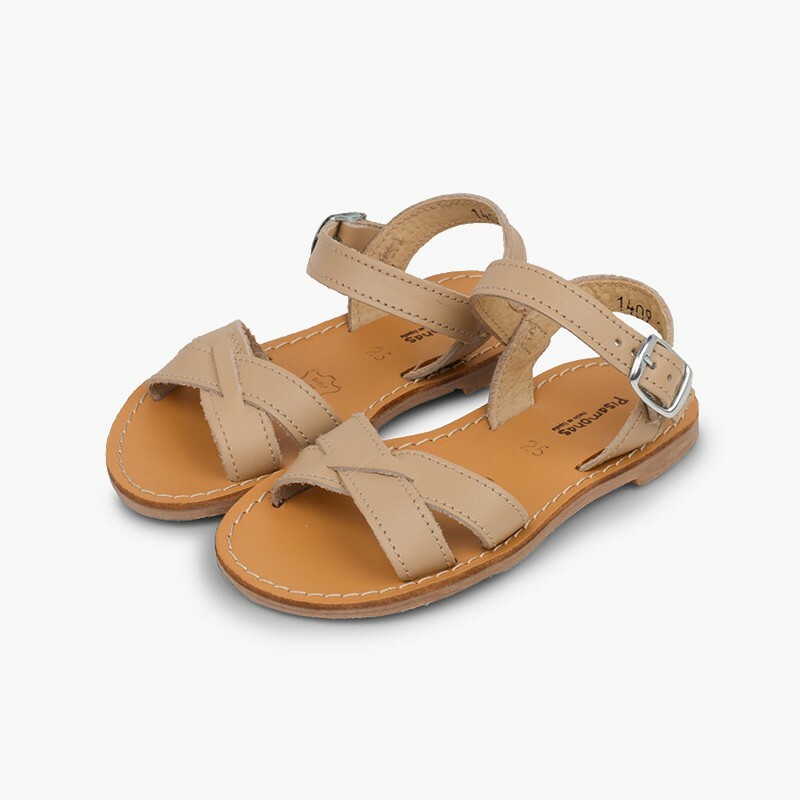 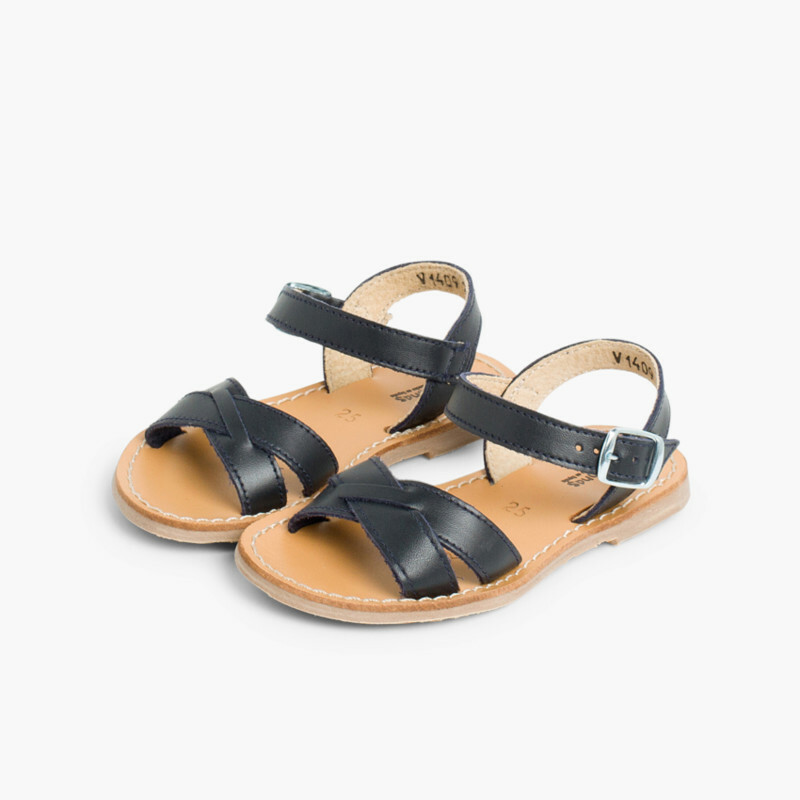 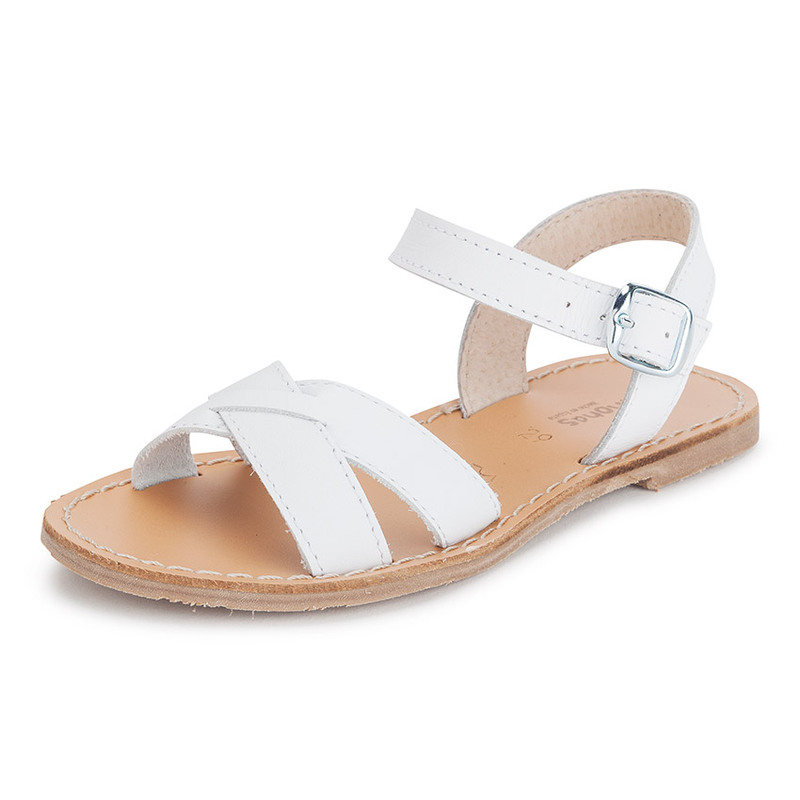 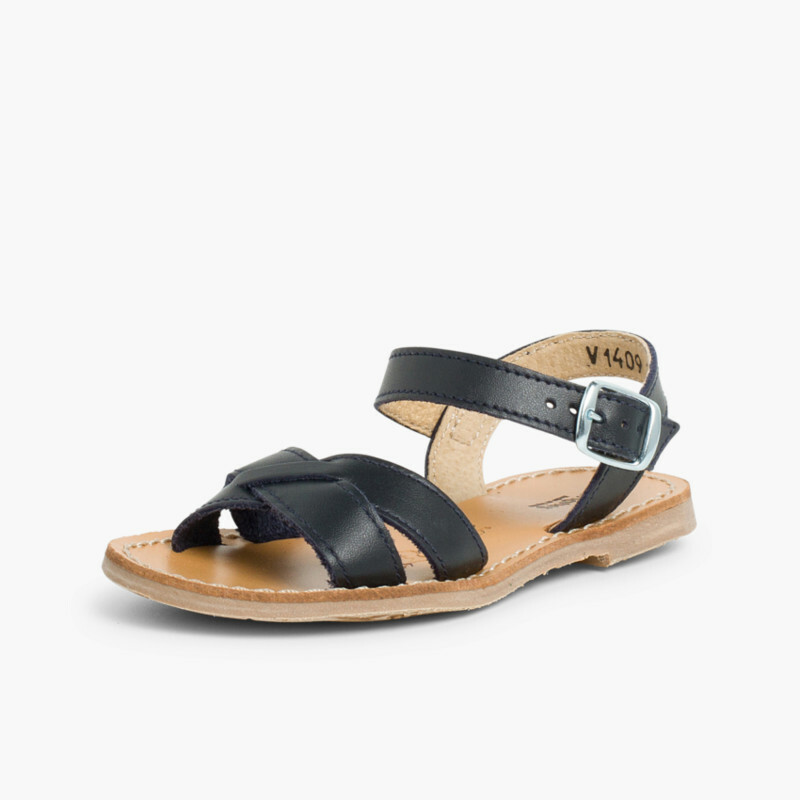 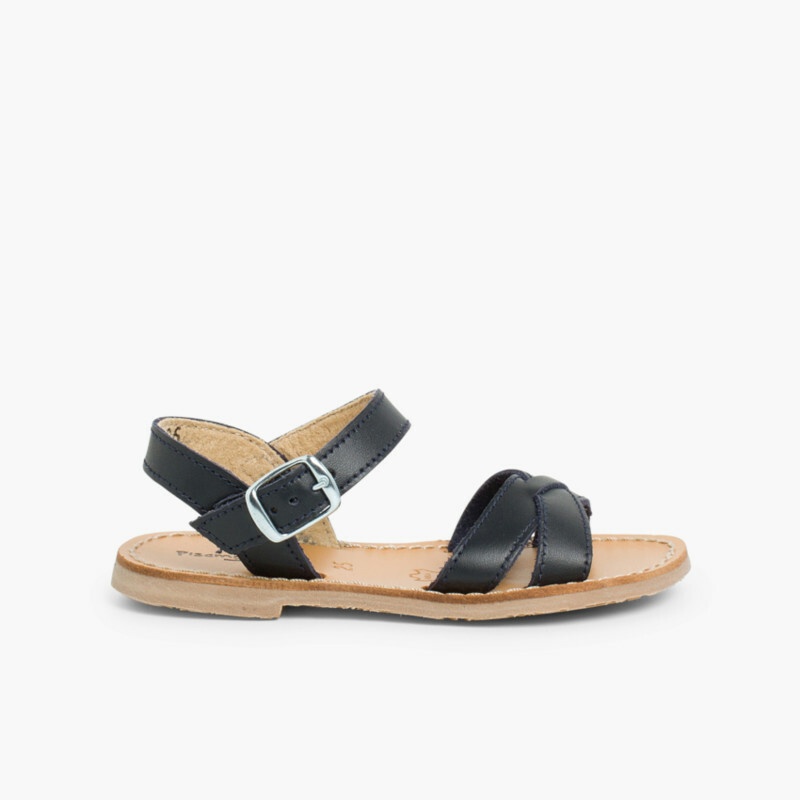 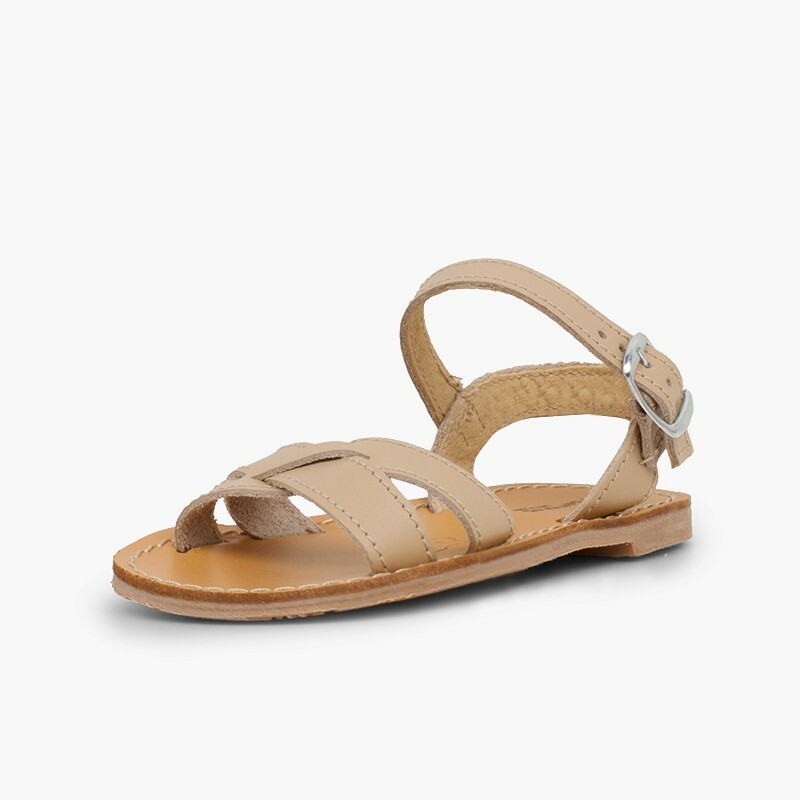 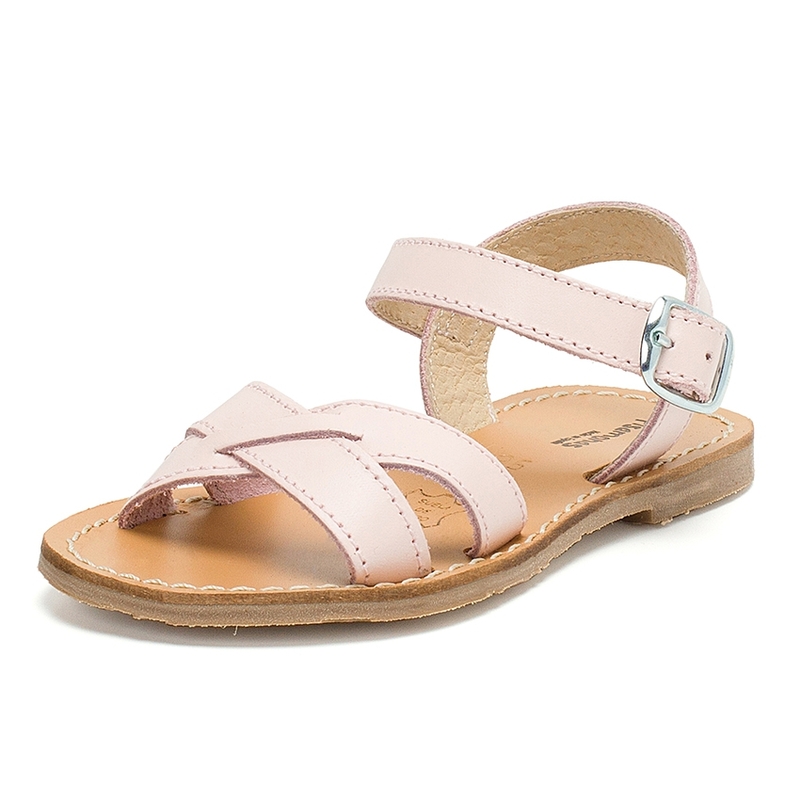 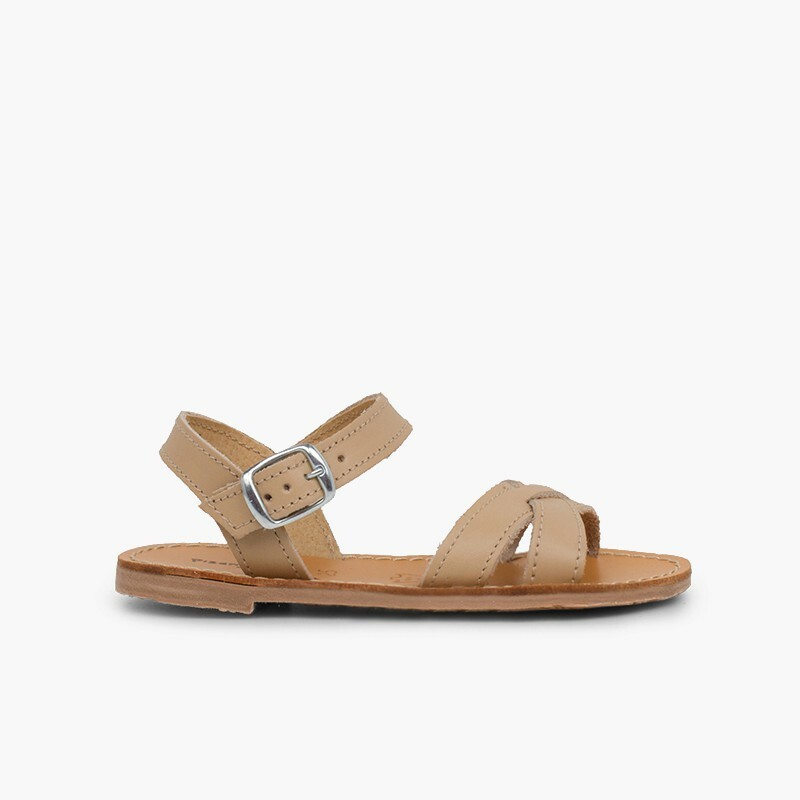 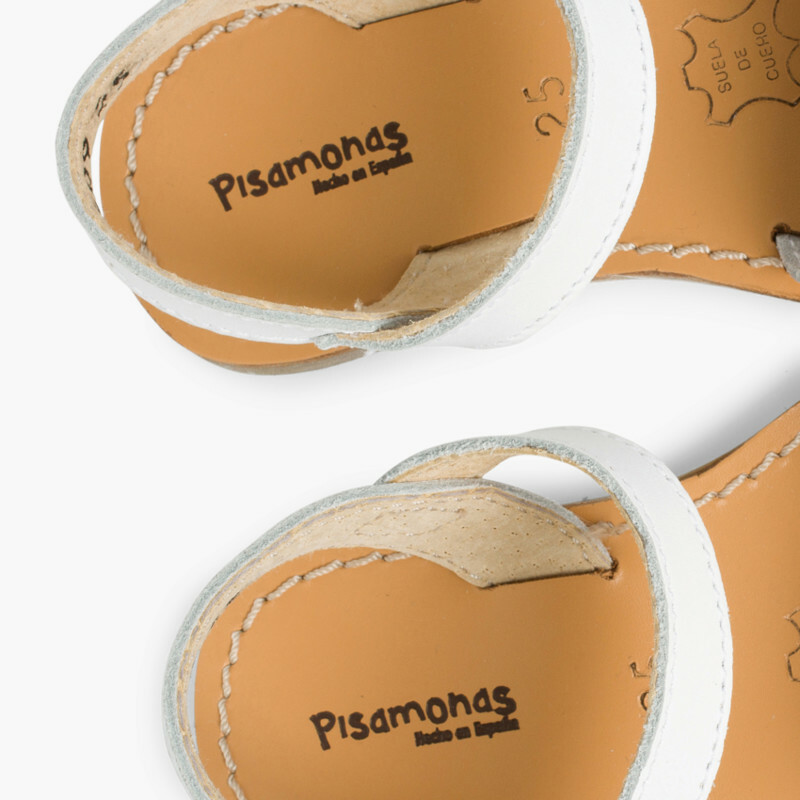 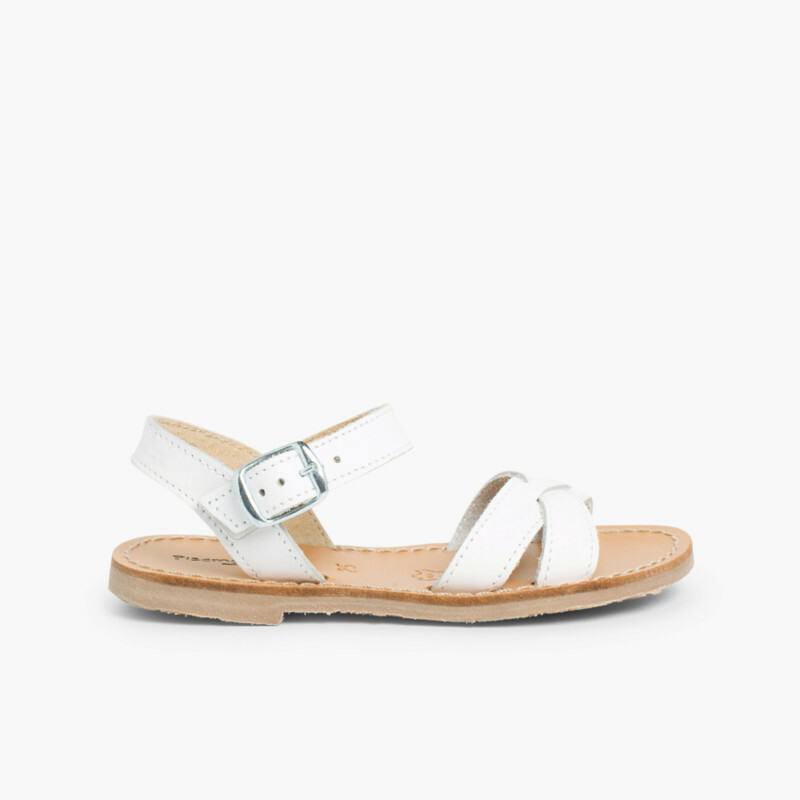 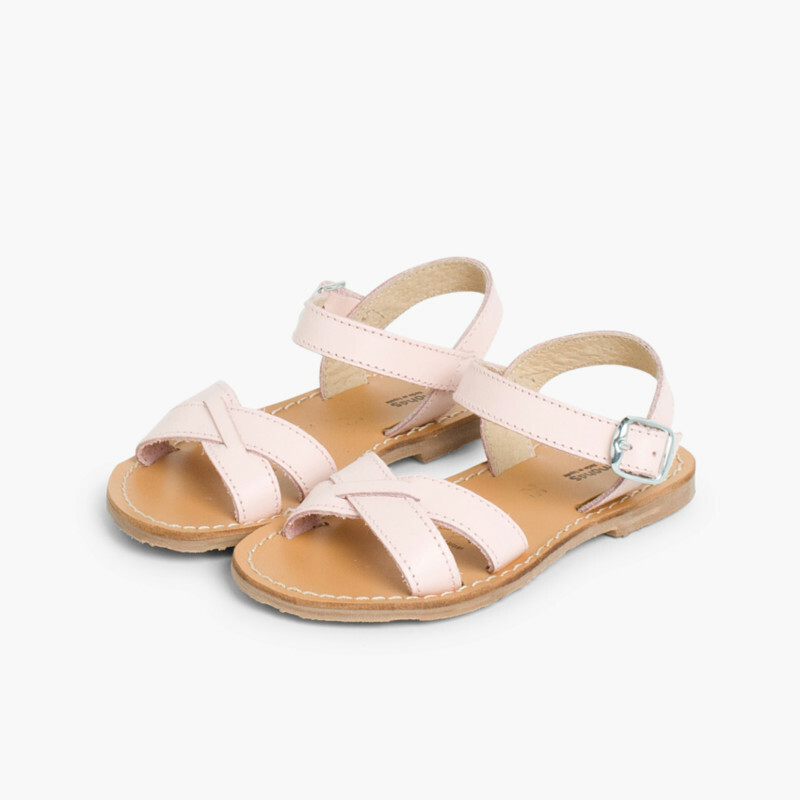 Enjoy this summer these lovely leather flat sandals at the best price, here, at Pisamonas!